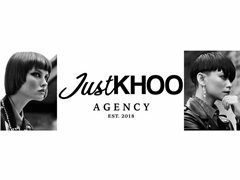 JustKHOO Agency are on the search for NEW FACES for 2019 to bring to Australia and WE WANT TO HEAR FROM YOU!! We have worked with some of Australia's biggest brands such as: Toni & Guy, Wella, Redken, Jay Jays, Cambridge Clothing, Joe Black and many more! We are an agency that are all about developing and training new talent into the industry whilst embracing uniqueness and diversity within each talent. Apply now for the chance to become a part of Australia's NEWEST Model & Talent agency where we give you a platform to grow in the industry! Paid : All jobs are paid and discussed if successful. This category is for EVERYONE! If you are an individual who has a lot of personality, loves being in front of the camera and not afraid to act THIS IS FOR YOU! This role we are looking for any individual who is open to cut + colour and willing to always push the boundaries and get a bit edgy and have some fun! If this is you, APPLY NOW. We are looking for Dancers for corporate events, runways and also other things that happen around Australia. Must be professionally trained. Showreel is admirable but not compulsory. We are looking for female models who are open to colouring their hair (no cuts for this role).